The sponges are the most primitive of the multi cell animals and highly successful. 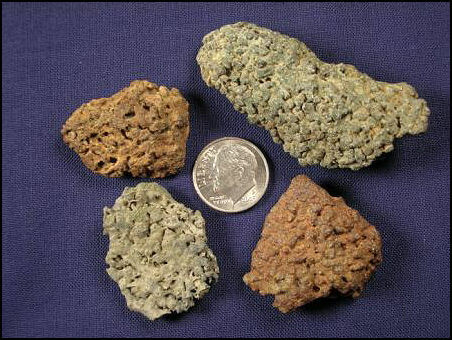 Fossil evidence places species of the genus Cliona as early as Lower Cambrian (about 500 million years ago) and still thriving today. These boring sponges created a system of pits and tubes by chemically etching out shell or coral material for shelter and protection. 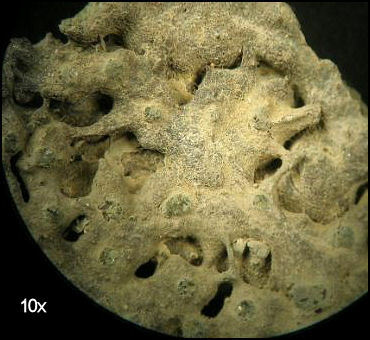 Like most sponges Cliona cretacica were filter feeders, they gained no nutrients from their host. 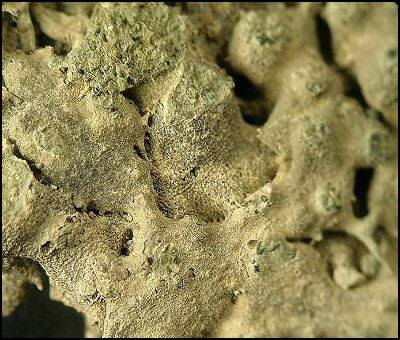 The fossil evidence of C. cretacica can be found in two forms, the trace holes left on shells and the fossil remains of the sponge itself. 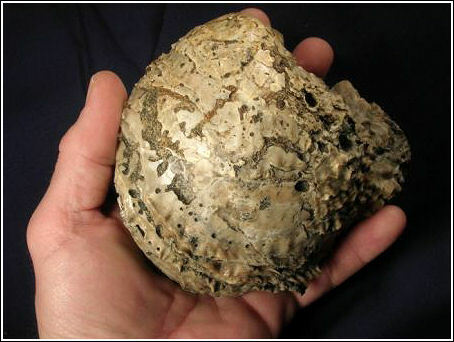 Trace evidence of Cliona cretacica can be seen in the form bore holes in this oyster. Not an overly exciting find, most people tend to pass this fossil up. Under magnification Cliona cretacica becomes more interesting. Some of the cell structure is visible in the picture.